Bangladesh government on Wednesday cleared, the construction of a bridge over river Feni in South Tripura to connect the state with Chittagong sea port. This decision was taken in a bilateral meeting at Ramgarh. A seven member Indian delegation headed by secretary PWD of Tripura attended the meeting with a team of engineers and administrators led by Road Transport and Bridge Minister of Bangladesh Obaidul Quader. Indian diplomat in Bangladesh M Harshabardhan was also present at the meeting. The meeting focused on difficulties in the construction of the approach road on Bangladesh side, which has been cleared by the Bangladesh minister. He told the officials necessary formalities have to be completed and conveyed to India so that work can start immediately. The bridge will provide Indians an access to Chittagong Port which is only about 70 km away. 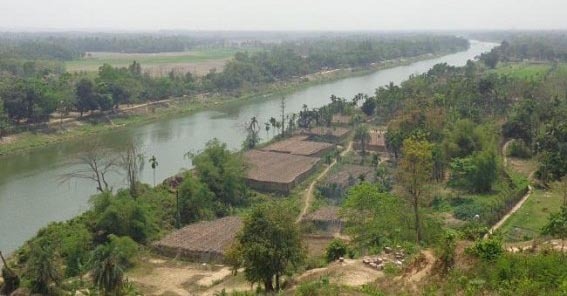 The proposed 150-metre bridge over river Feni to connect the State with Chittagong port in Bangladesh bridge would not only connect Tripura but also the whole of northeast region plagued by serious connectivity issues. In the past, Prime Minister Narendra Modi and Bangladesh Prime Minister Sheikh Hasina jointly laid the foundation stone of the bridge in 2015.